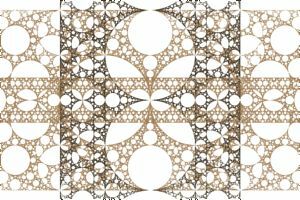 The Apollonian Gasket examples are based on a custom symmetry transformation applied to a variation of the Apollonian Gasket. 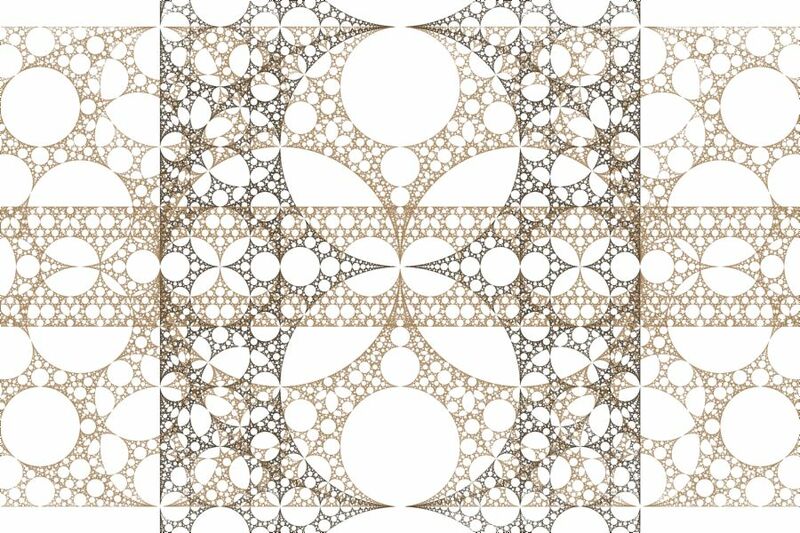 You can apply a transformation to the fractal. Use the transformation named Transformation 2 which is applied after the symmetry transformation. Set the Based On property to one of the available transformations, select the transformation's properties page (found under the transformation in the page hierarchy), and play with the properties found there. Mobius transformations work especially well in these examples because they preserve circles; i.e., circles are mapped to circles. Note that the default for most of these transformations is the identity transformation (which does nothing) so you will need to select the properties page found under the transformation and change the properties in the section labeled Transformation Control. Skip this section if you are not comfortable with the geometry of the complex plane. In these examples, the Orbital Equation generates a variation of the Apollonian Gasket. 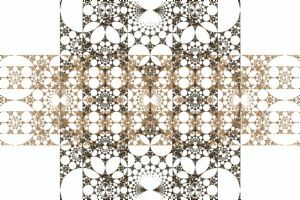 A custom Symmetry Transformation is used to overlay several transformed copies of the base fractal resulting in the images you see here. 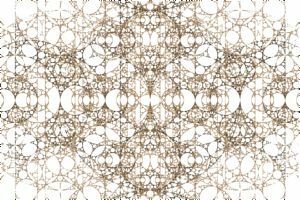 You can generate lots of images like these using this technique, but you need to coordinate the Symmetry Transformation with the variation of the Apollonian Gasket that you select, for the best results. 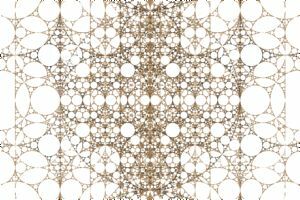 For example, Apollonian Gasket 01 is based on the classic Apollonian Gasket which has 2 empty circular areas that are 0.5 the size of the base fractal, with centers at 0.5 and -0.5. In addition, there are 2 empty circular areas that are 0.33333 the size of the base fractal, with centers at 0.66666i and -0.66666i. 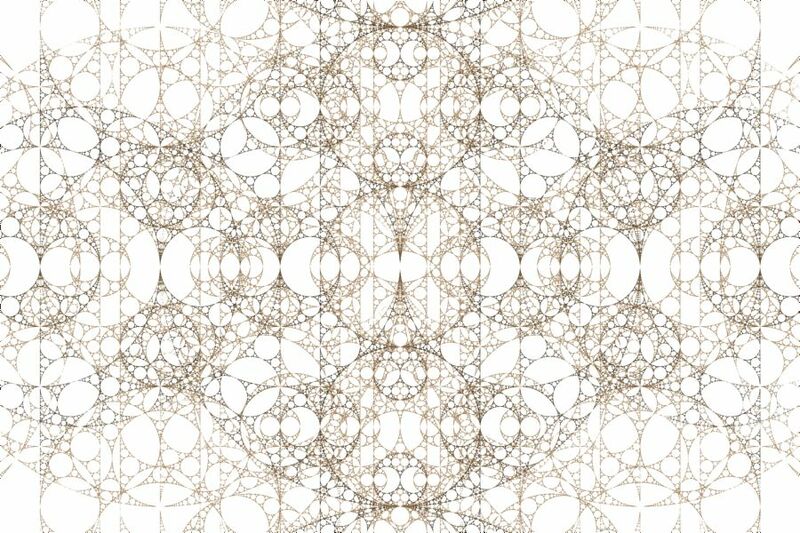 The symmetry transformation used in Apollonian Gasket 01 defines 4 transformations that scale/translate the original Apollonian Gasket into these 4 empty circular areas and a 5th transformation that inverts the Apollonian Gasket in a circle centered at the origin with radius 1. 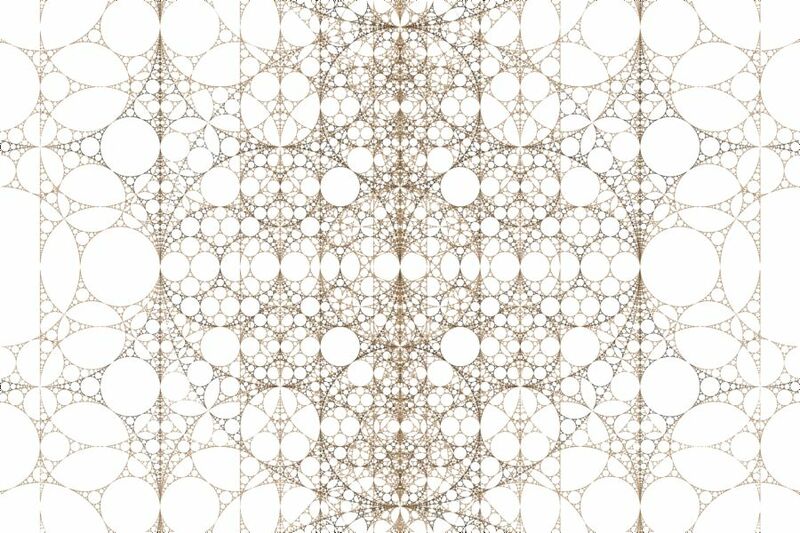 The other examples use different variations of the Apollonian Gasket and define symmetry transformations based on the geometry of each variation. 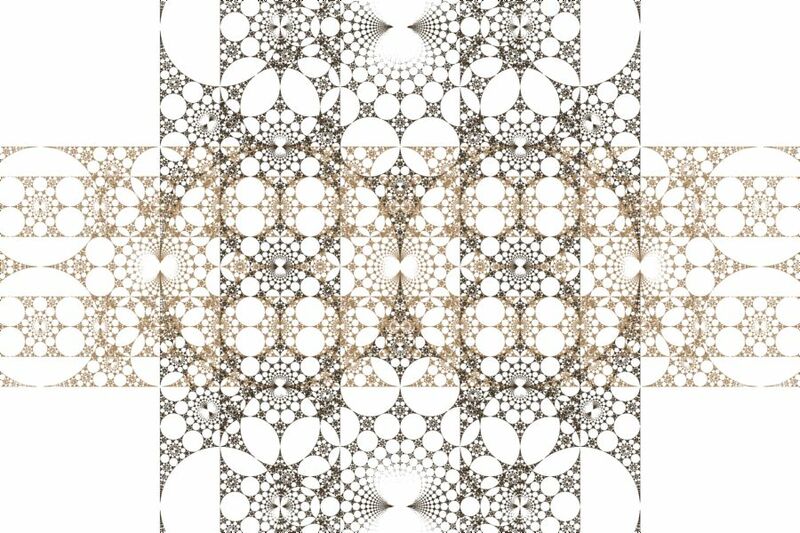 To generate additional images, start with one of the variations of the Apollonian Gasket and construct the symmetry transformation by filling in the empty parts of the base image with scaled copies of the base fractal. Change the Variation property to view the different variations. The Properties page has a few general properties and the Transformations page is used to define the set of transformations.